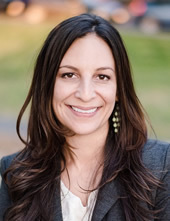 Sara Daves is a conflict resolution expert and purpose coach. Sara graduated from Virginia Commonwealth University with a BA in English. During her last semester, she was bitten by the journalism bug and began freelancing as a local journalist in Richmond, Va. She decided to expand her career and moved to Washington, D.C., where she entered the world of corporate communications. Because she did not begin her career in the corporate environment, she was able to see situations through different lenses. Sara experienced first-hand how toxic the corporate world can be and worked to create a healthier workplace environment. Sara walks business leaders through conflict negotiation to achieve a win-win outcome. She also teaches women how to clarify their true life’s purpose and step into their authenticity so they can thrive. Her purpose is to help uplift the collective consciousness through teaching the concept of oneness and self-love, by empowering people with the tools to develop self-knowledge and recognize the shared humanity in others. Her daily mission is to do her part to anchor the consciousness of oneness with every interaction, choice and energetic exchange.